The B2200 by Mazda was for sale with a diesel engine form 1986 to 1993. This 70 horsepower build was a 2.2 liter configuration. Although a gasoline version existed, people appreciate the alternative because of the fuel mileage. Got Diesel Engines has a Mazda B2200 diesel engine for sale in our updated inventory. The R2 code is what designates the diesel over the other options. Global manufacturing took place to build the B2200 pickup truck. It is still quite popular as a work truck and general transport vehicle in third world countries. 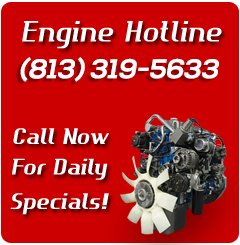 Through our own USA affiliates, we obtain used Mazda diesel engines at fair market value. You will find 2184 cubic centimeters in the 2.2L block. This measurement is exact based on the entire size of the block. Through deals with more than one automaker, Mazda has been able to keep its name afloat in the growing truck market. Its closest partnership was with Ford Motor Company for decades. GDE employs is internal team of associates to handle the sales of our used products. Even the industrial side of our company benefits from this division. The Ford and Mazda variants that are able to be ordered on this site go through our checklist. The compact truck market has improved although few companies are making diesel powered motors. The size of the beds are becoming longer. The pushrod technology is now a thing of the past. What is never denied is the fuel mileage on the block. The used Mazda B2200 motors that people order here get good gas mileage. A product warranty is something savvy buyers demand. We come through for people. The protection is not limited to just small parts that might break off. The block as a whole minus a few exceptions is protected after a sale is processed. We have a toll-free phone number for a good reason. GDE wants to make its inventory accessible all across North America. For our buyers in Canada, this provides a simple shipping solution. Our carriers are professional. You will never over pay for a Mazda diesel motor that is ordered from our company. Get your price quote by completing the simple form. It is mobile friendly. We never use or ask for any of your personal details. What comes out of a junk yard is sometimes the best condition. You just have to know where to find it. We know the secrets of buying used diesel truck parts. All savings are routed straight to the public. We remove the middleman so the price is kept the lowest rate. Call us or request a quote right now.